We proudly serve our Tucson, Arizona community every day by helping our customers maintain a clean, healthy, happy home. 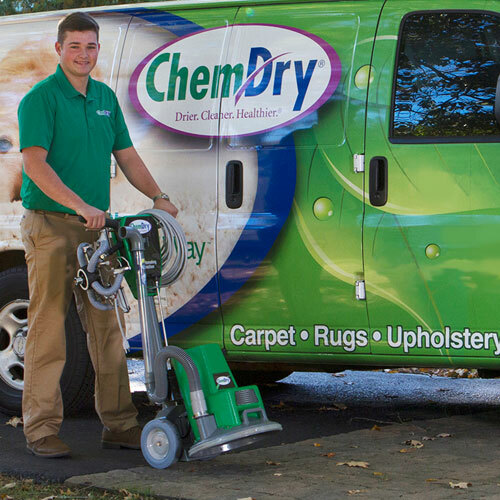 Our industry-leading carpet and upholstery cleaning process combines our non-toxic, green-certified solution and Hot Carbonating Extraction which means that we'll leave your home not only cleaner but safer and healthier, too.Our professionally-trained technicians here at K & L Chem-Dry are dedicated to providing an outstanding cleaning experience and will treat your home and family with the respect you deserve. 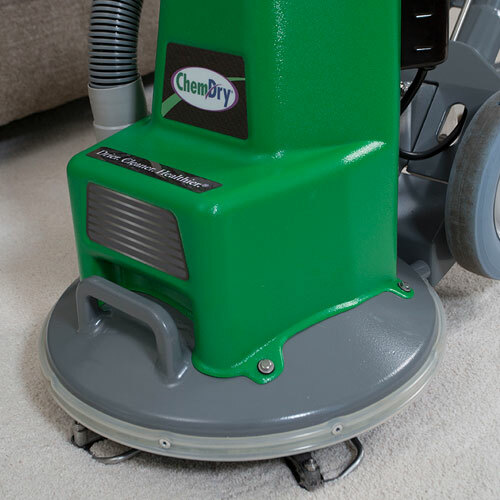 The Chem-Dry cleaning process was founded on the idea that there had to be a healthier, more effective way to clean carpets with less negative environmental impact than traditional steam cleaning. 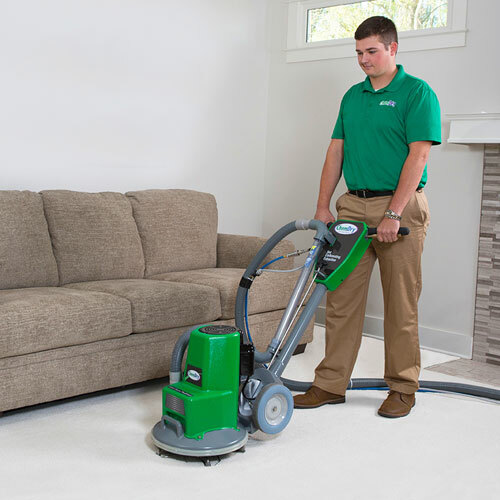 We solved this problem by developing The Natural® -- a green-certified, safe and non-toxic cleaning solution – along with a unique delivery system that are the foundation of our Hot Carbonating Extraction process and that deliver an unmatched carpet cleaning experience. 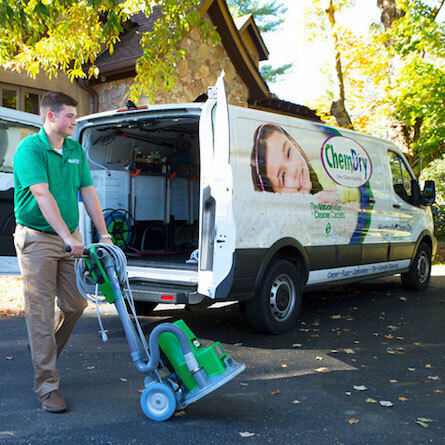 This process relies on the deep-cleaning power of carbonation and uses 80% less water than typical steam cleaning, which greatly reduces dry times and the risk of mold and mildew that excess water can cause. 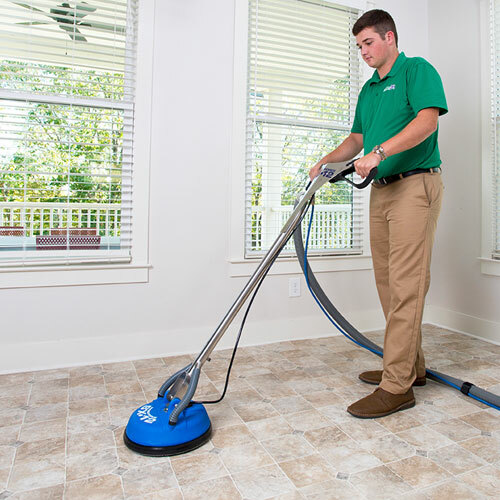 The result is a deeper, longer lasting, faster drying clean and the peace of mind of having a healthier home for you and your family. 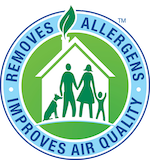 Does someone in your home suffer from allergies or asthma so you are concerned about allergens and air quality? Do you have children - or even pets - who love to roll around and play on the carpet so you are worried about bacteria? 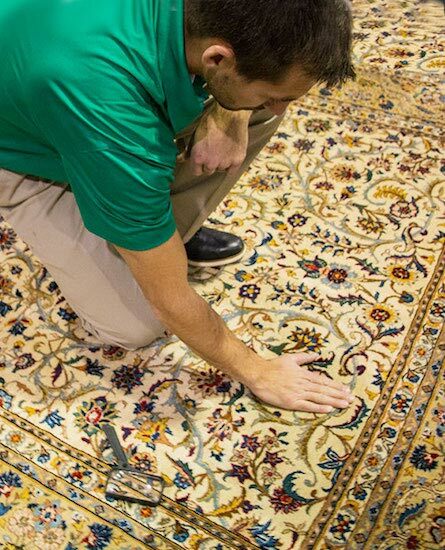 Carpets are beneficial acting as giant filters absorbing and collecting common allergens and germs. But, just like an air filter, carpets become full over time and must be properly cleaned to remain most effective at trapping particulates as they settle from the air. 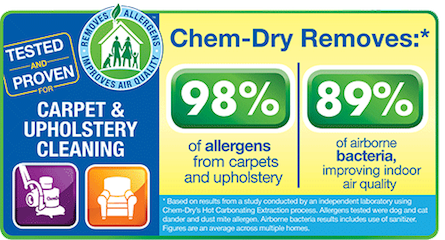 The Chem-dry carpet cleaning service has been tested and proven by a leading independent air quality laboratory to effectively remove an average of 98.1% of common household allergens from the carpets and upholstery we clean. And when a sanitizer is added with the healthy home package, 89% of the bacteria in the air and 82.3% of the bacteria from carpets was removed*, leaving your carpets and air quality clean and healthy and your family safer. I love this service. I have never been disappointed with the results. Larry and his team arrived on time. The carpet and upholstery they cleaned were awesome! Call them.